I’m a Bloglovin’ member now! 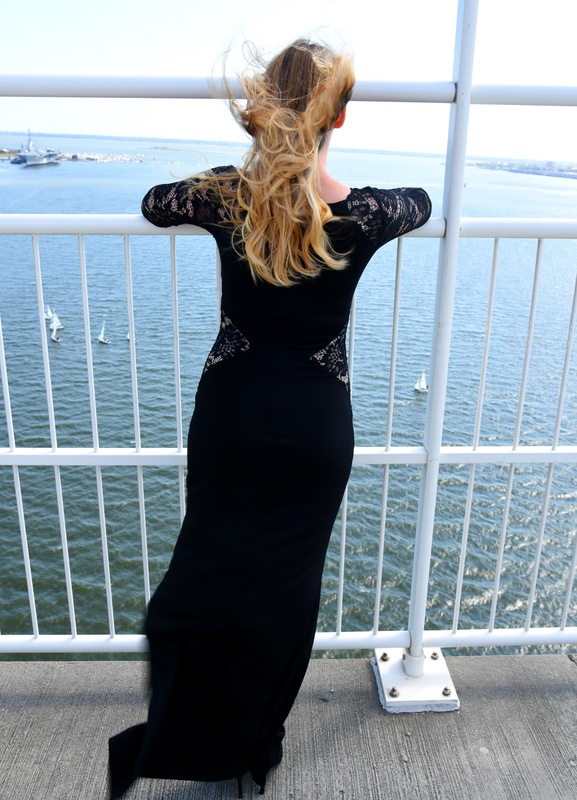 Be sure to follow my blog on Bloglovin’, so you’ll never miss a post! Bloglovin’ allows you to read all of the blogs you follow in one place even if the blogger themselves hasn’t made an account. You can keep track of which blog posts you have not read, and you can like and save your favorite posts so you can refer to them at a later time. You don’t need to own a blog to be a member on Bloglovin’, and you can read any blog published on any platform. 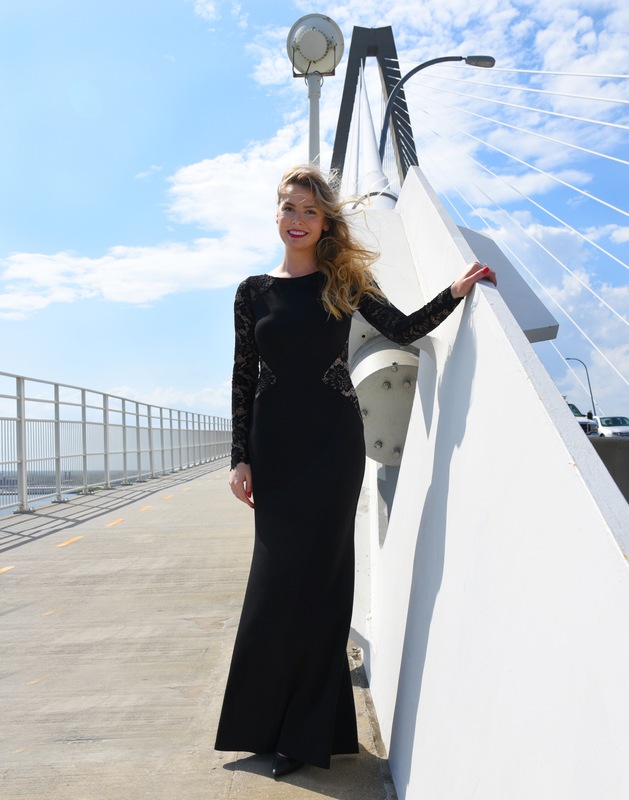 I hope to see you following me on Bloglovin’ soon! 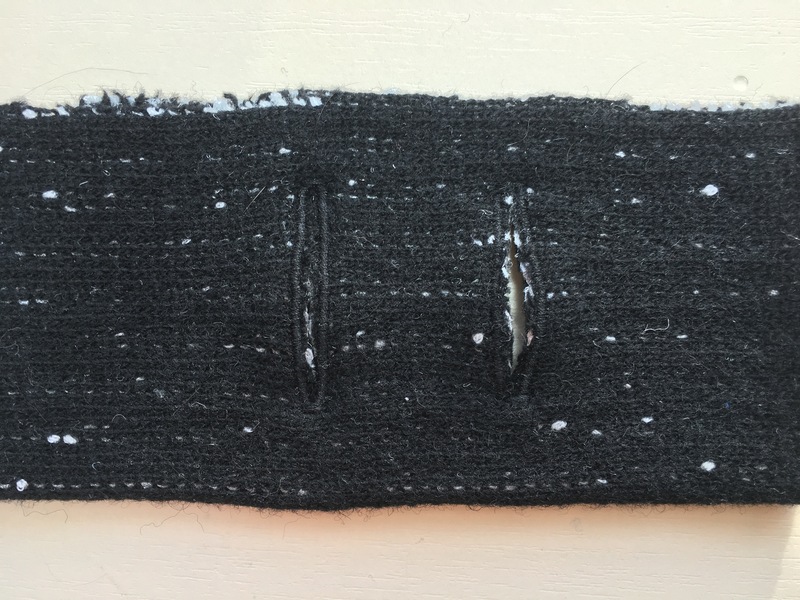 I haven’t seen other sewists using corded buttonholes, so I’m here to share a simple technique that will give you better buttonholes on tricky fabrics! 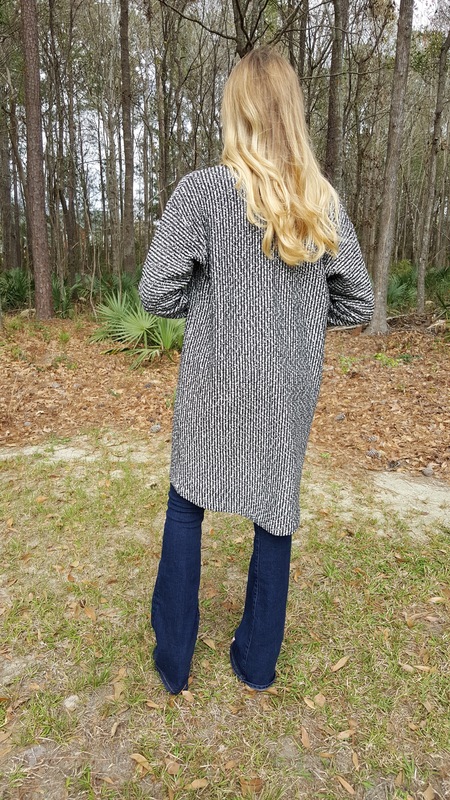 I used this technique on my esme cardigan in my last blog post! 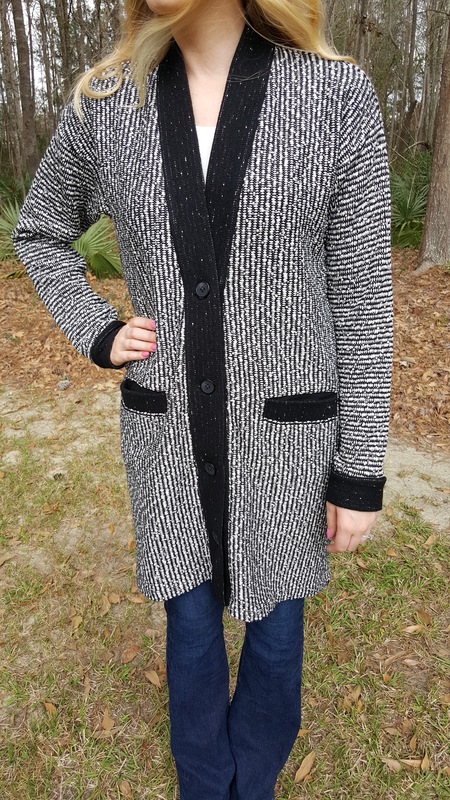 Corded buttonholes can be used for practical reasons as it provides extra stabilization when used with interfacing on fabrics like bouclé, sweater knits, and stretch wovens. It also works great on buttonholes that are extra long. Long buttonholes tend to sag open on some fabric creating the “duck lip” look. Duck lips look just as bad on buttonholes as they do in selfies! Corded buttonholes can also be used for purely aesthetic reasons too. 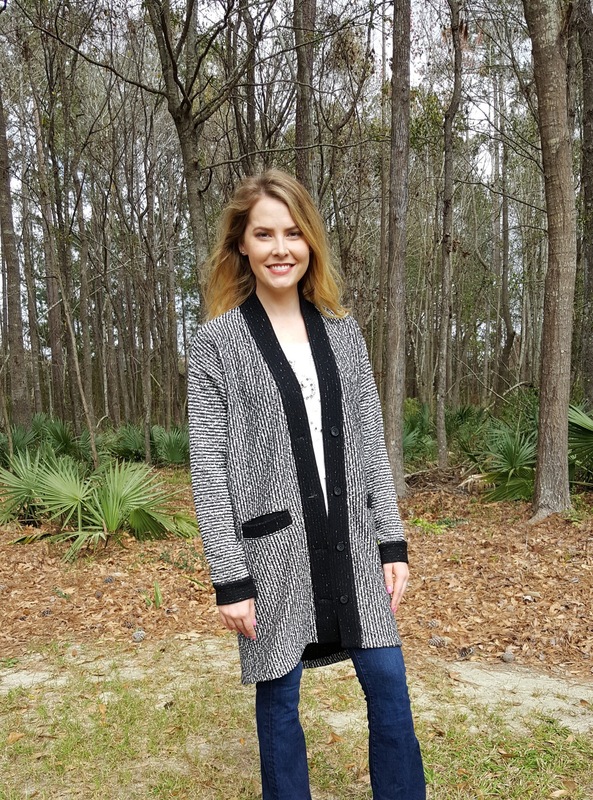 Regular buttonhole stitching can disappear on thick fabrics, but corded buttonholes can create 3D stitching that looks great on denim, corduroy, suiting, and coating fabrics. 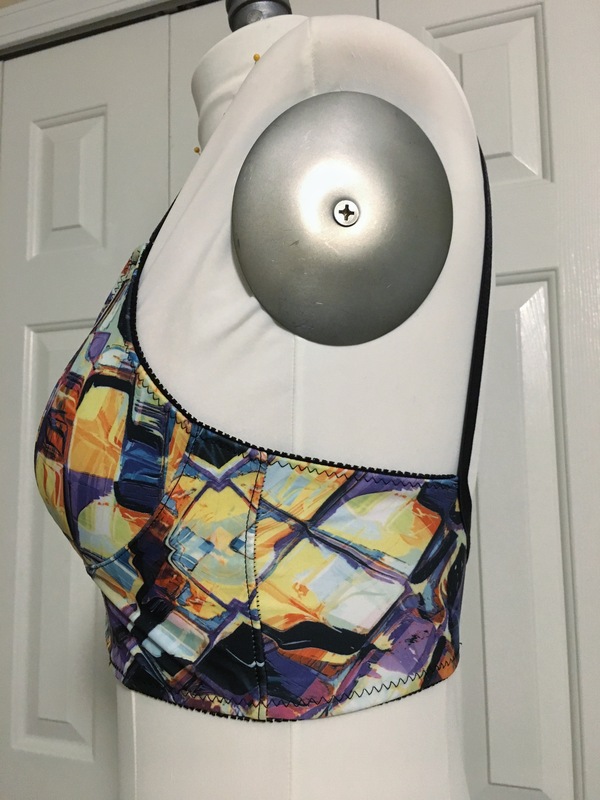 It is essential that you use interfacing appropriate for your fabric. 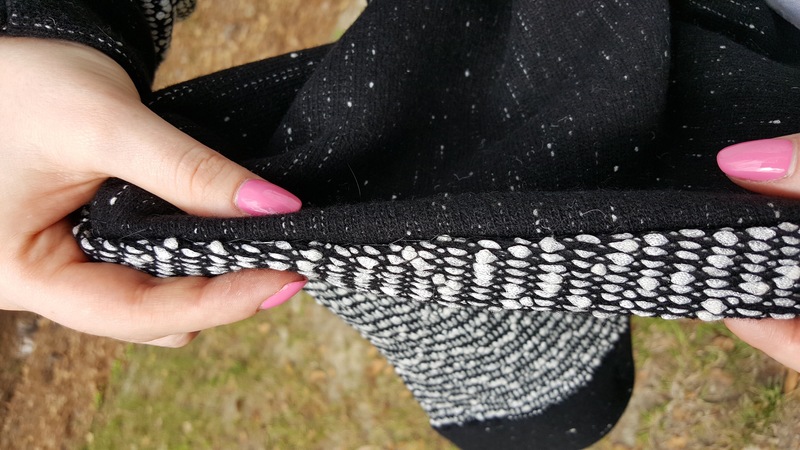 If you are working with a knit fabric, you must use a fusible tricot interfacing so the interfacing stretches with the fabric. For woven fabrics, I prefer to use a woven fusible as opposed to non-woven, but this is more of a personal preference. I recommend using perle (also called pearl) cotton for the cord. It is available in many colors so you can match your thread, and it is heavily twisted and will not separate unlike embroidery floss. I used size 5 DMC brand. Size 5 is about the largest you could use for this application. 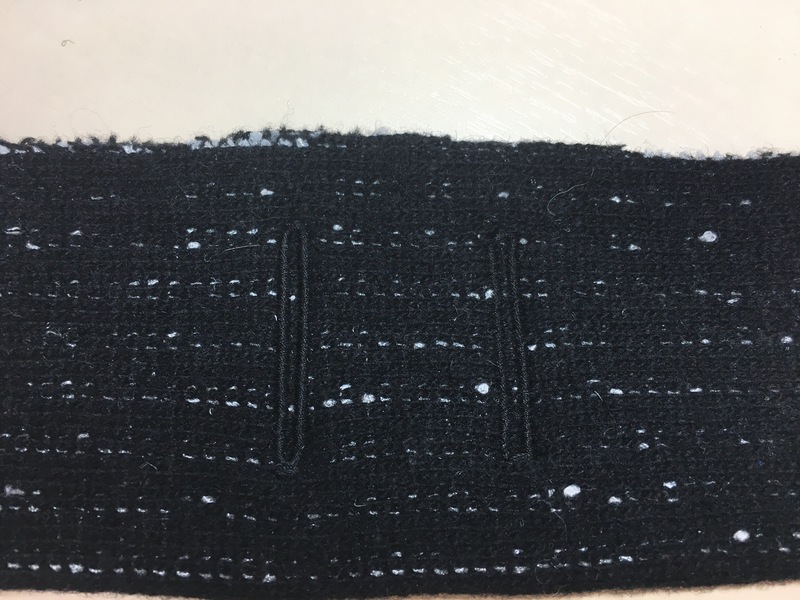 If you are sewing a corded buttonhole in a thinner fabric and do not want a 3D look, you can use buttonhole twist thread for stability without a difference in appearance. Here is how I make corded buttonholes on my Bernina. Consult your machine’s manual for for tips using your machine. 1. 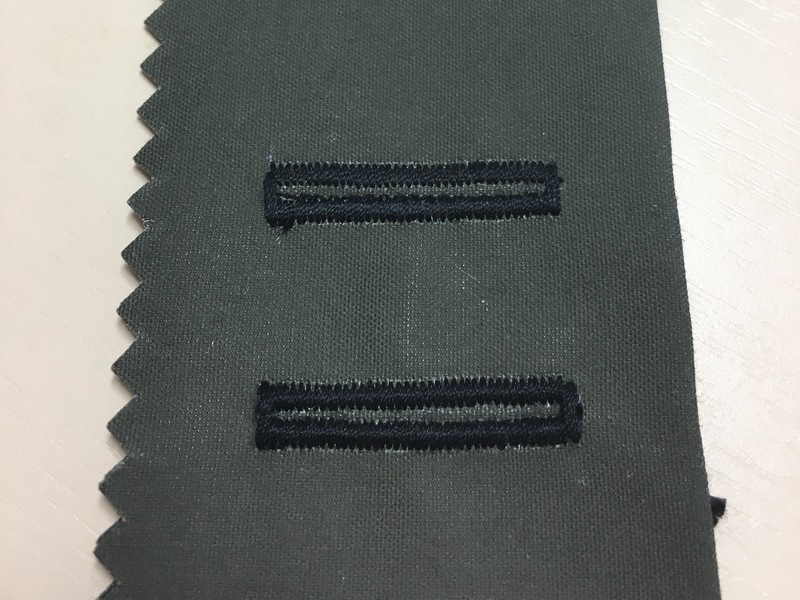 Mark the buttonhole placement, and apply the interfacing to the wrong side of the fabric according to the manufacturer’s directions. 2. 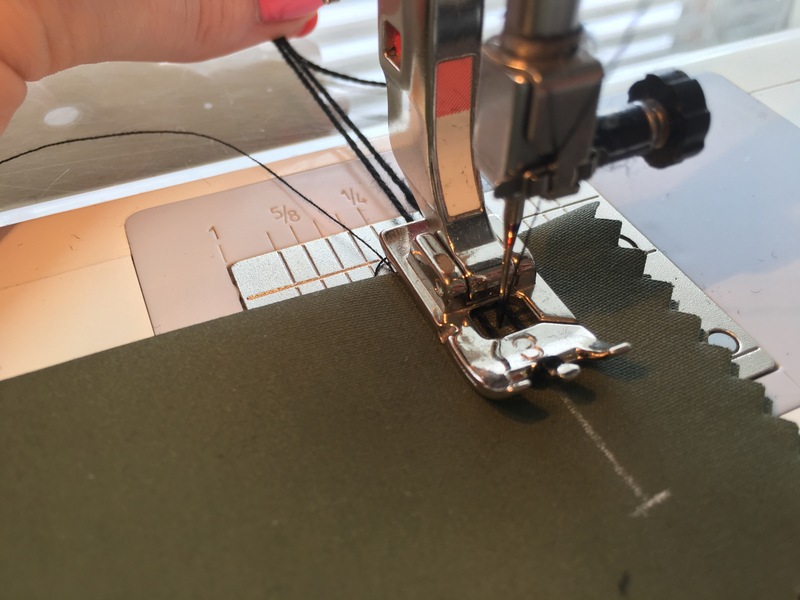 Set up your machine for a buttonhole stitch. 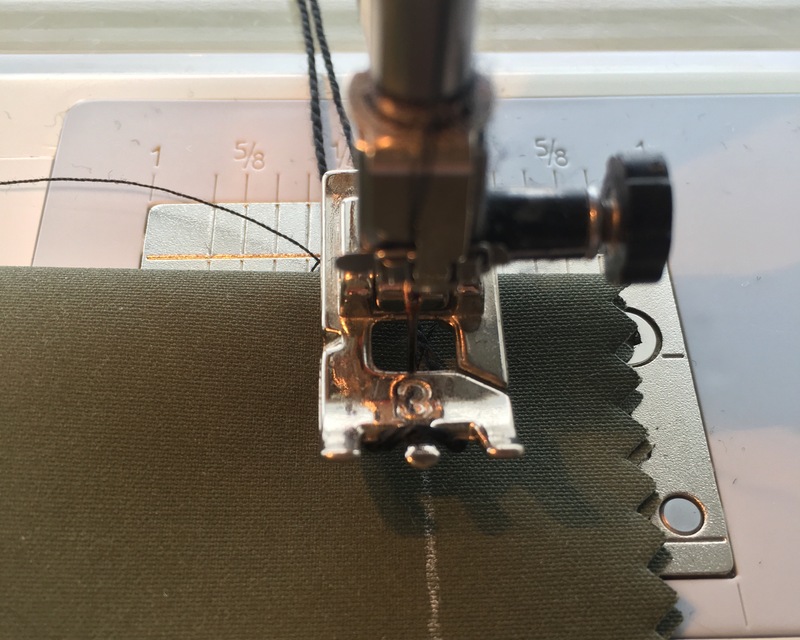 Lower the needle of your machine into the fabric, but don’t lower the presser foot yet. 4. Lower the presser foot. Double check that the cord is on either side of the needle. The cord needs to be close to the needle so the cord will be within the zig-zag stitch when the buttonhole is stitched. 5. Stitch the buttonhole, and loosely hold onto the cord. The cord will slide through your fingers as the buttonhole is being stitched. Go slowly, and make sure the cord doesn’t slip out of place. 6. Pull the loose ends of the cord to get rid of the loop. 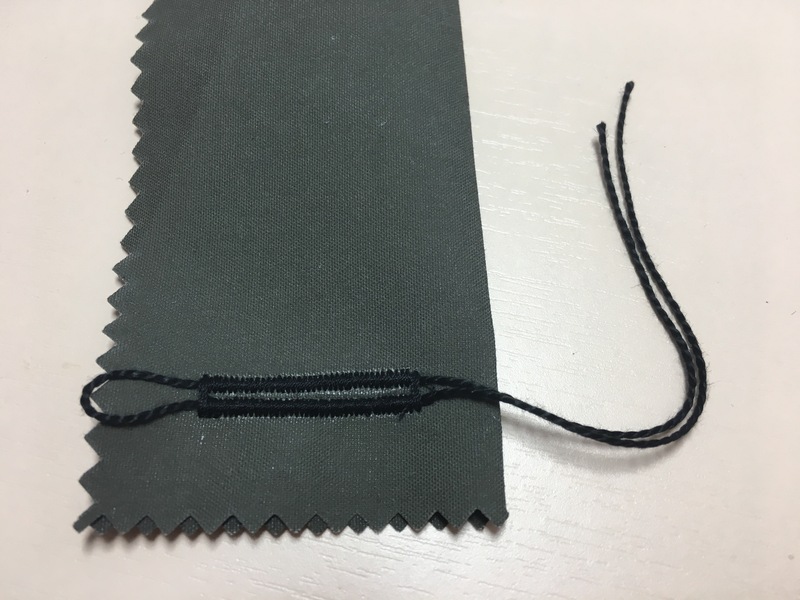 Thread both the cord ends through a hand sewing needle with a large eye, and insert the needle at the base of the buttonhole pulling the extra cord to the wrong side of the fabric. Tie a knot, and trim the ends. You are done! Here is a side by side comparison of a corded buttonhole (bottom) and a regular buttonhole (top) on coated cotton canvas fabric. 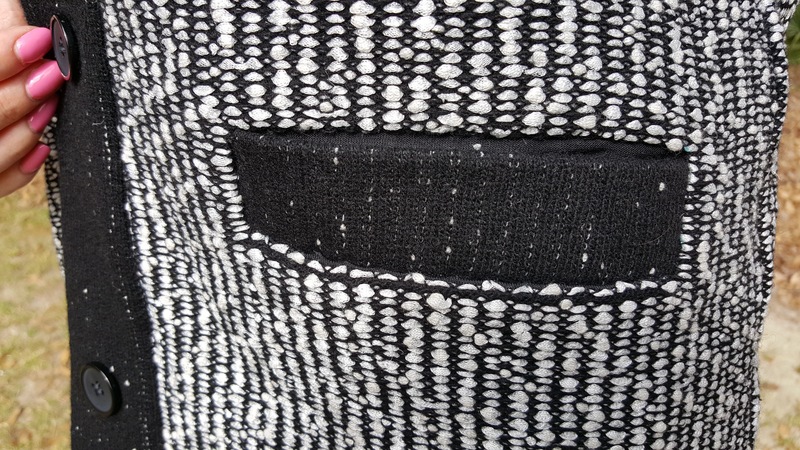 Here is another comparison with very long buttonholes on a heavy knit fabric. The corded buttonhole is on the left. Here is another picture after the buttonholes were cut open and the fabric was stretched a bit to simulate wear. See how the corded buttonhole lays flat and doesn’t stretch out? 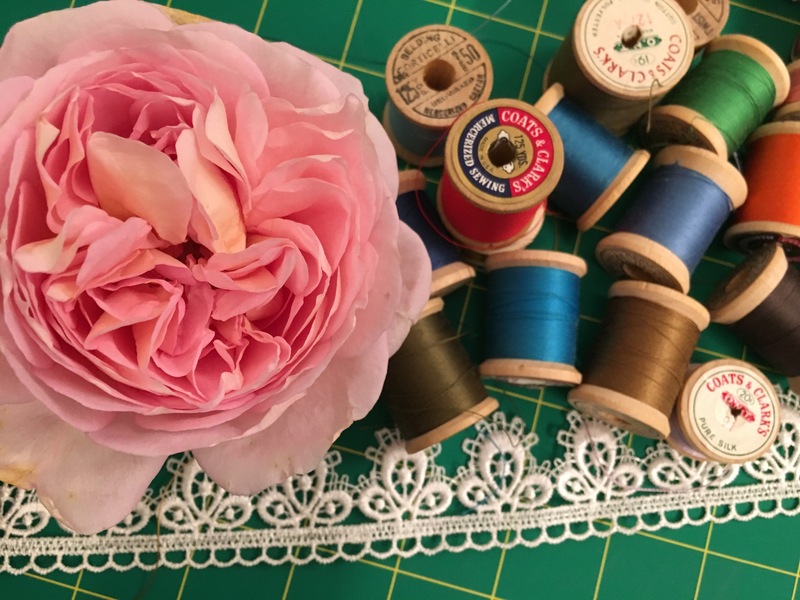 Have you ever tried corded buttonholes in the past? Are you going to use this technique on a future project? Have any questions? Let me know in the comments!